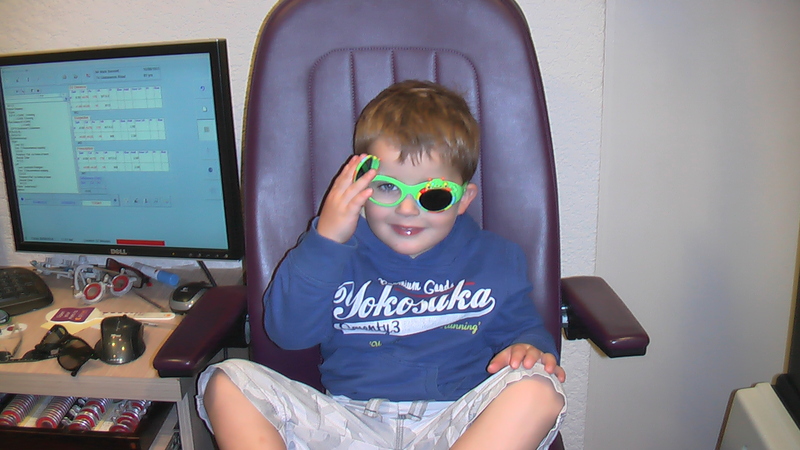 We all have worries about our children, but as a rule many people assume their children’s eyesight is fine. When I told people KW3 needed glasses, no one could believe it and many still can’t. She looks at people, smiles, follows our pets around, grabs things that interests her, is very content and her eyes seem straight! This however, is a common misconception. Just because you think they are fine, it doesn’t mean they are! 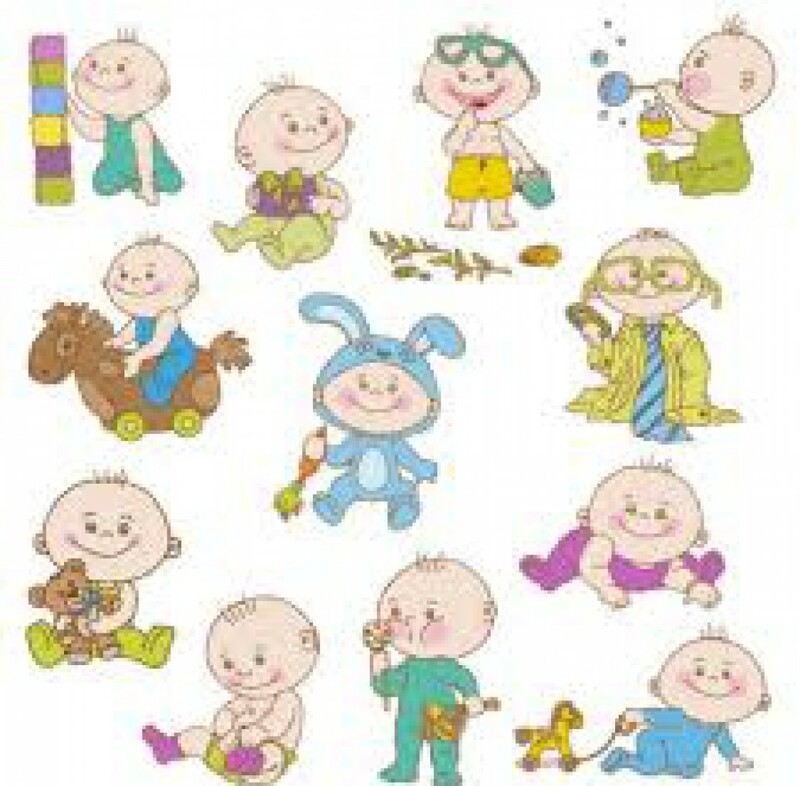 In America all parents are encouraged to get their babies checked sometime after 6 months as problems being caught early can prevent much more serious eye problems later. Granted, they have to pay for this privilege but it is encouraged nonetheless. In the UK we have even stopped the eye screening at the two and a half year check, which I believe is madness and all to cut budgets! Leaving testing them until school is such a shame and leaves so many parents feeling unneccesarily guilty that they had no idea their child’s vision was so bad. 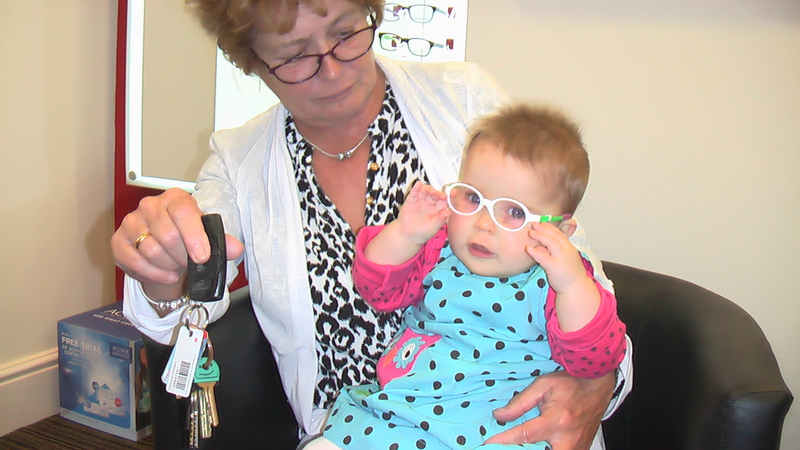 Large chains often don’t test until children are three, but some specialist opticians/optometrists are more than happy to test children that don’t talk and they have simple non invasive ways of checking whether their eyesight is a concern. For KW3, the ‘test’ consisted of looking into little torches, tracking objects, and having different lenses held in front of her eyes while looking at bright flashing objects, this told the optometrist that her vision was a concern so would need further investigation. KW3 actually enjoyed the test and it cost us nothing, the next test will be slightly more gruelling as she will have to have the drops to dilate the pupils, but that is only done if there seems to be a problem. We honestly thought we would be leaving the optometrist with a clean bill of eye health, not a referral, but it just goes to show you can never be to sure. I would encourage everyone to get their little ones tested, whether family history or not, but even more so if family history. What harm can it do, it doesn’t cost a penny and it could make a massive difference to your child’s sight . After all, I hadn’t a clue that my darling babies were very farsighted! I agree, and its free too! Which I didn’t know until we had problems with my sons eyes. I think so many kids get to school now before they find anything that they should bring back two year eye tests. I hope yours are happy with their glasses, they certainly look cute! My little boy loves them and is never without them (well apart from swimming and bath time). Time will tell with KW3. I just think it’s so important and the fact that many parents of 2/3 year olds have taken them to the dentist, illustrates a lack of awareness. This is not due to the parent, but due to the fact that this no one suggests it, or indicates it might be worth checking. Instead, you might if you are lucky, get a health visitor asking if you have noticed anything concerning at one of the development check. But small children don’t recognise that they have difficulties seeing, eyes can work harder to focus, and they don’t know any differently. This means it is very feasible that their problems go unrecognised. With the eyes stopping developing at 7( I think but I am tired so might be wrong), surely it is better for it to be caught early. Through my blog I have had a few people contact me with their own stories, one woman started to notice something at 18 months and after waiting lists her child was almost two. By then they had almost no sight in one eye! Had it been spotted earlier they may have avoided lots of heartache, not to mention patching! 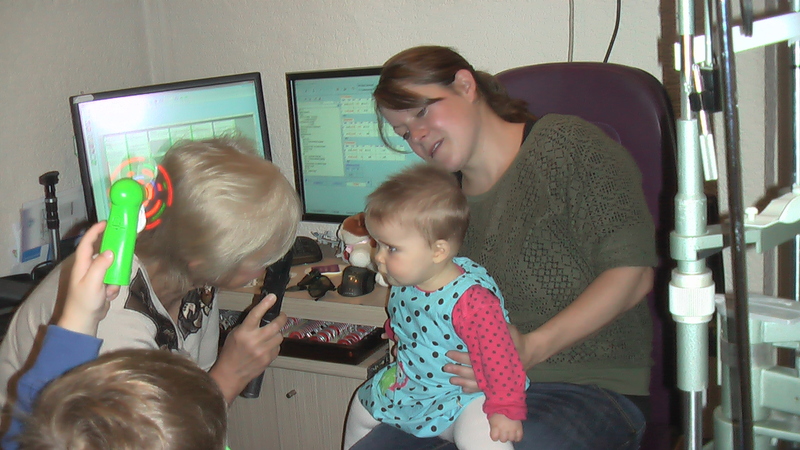 Others have got their children tested, several needed glasses as a result! Just want everyone to know that it is possible to get them checked younger, how easy it is, cost free and early intervention if necessary. Thanks for reading, I am glad you enjoyed it. Good luck at the appointment; let me know how you get on! KW 3 had a test first to get an idea; she was +11 so not an option to wait and see. The test after drops got the same result. We have an amazing local opticians! Hope we are as happy with the hospital care! Such a great post! Informative, interesting and incredibly useful. 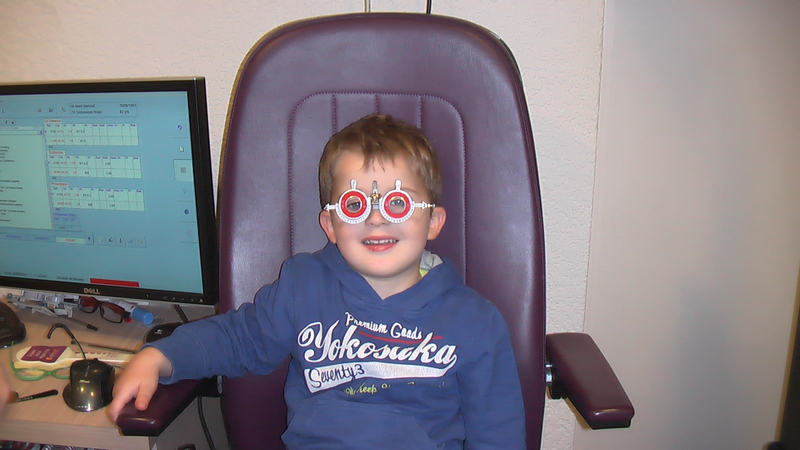 I have to admit that I don’t think that it ever occurred to me when my two were young to get their eyes checked. I wish I had now and not just waited for the standardised test at school! I hope others read this and use this to encourage them to go get them checked. Thanks, I’m glad you found it useful! That was my purpose, to raise awareness. So many people do not realise ickle ones can even be tested! It’s not bad at all! Majority of people I know, it has never even entered the heads as they had no concerns! Problem being kids just adjust as they know no different. Even some professionals say there is no need until school! Rubbish I say! I wouldn’t necessarily say everyone should take their one year olds but why can’t it be part of the 2 year check? 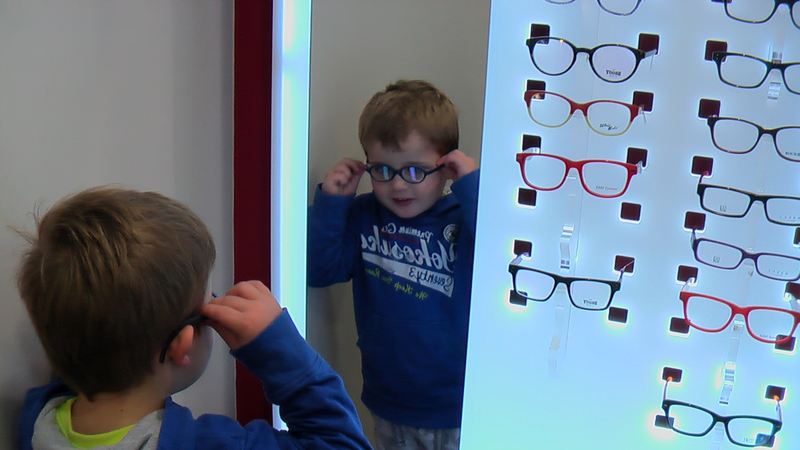 I am sure they are fine but always worth checking… Don’t be fobbed off by opticians that tell you to wait until school, especially if anyone in the family got glasses at a young age. Thanks for reading, I am glad it is raising awareness! It’s madness that they don’t encourage testing early! So much can be done I caught early as after seven or so, it’s too late!